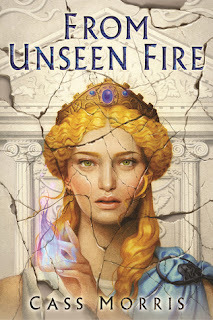 If From Unseen Fire has an elevator pitch, it’s “The Roman Republic, but with magic.” It feels like an alternate history – one where the broad historical strokes until the start of the book are the same, and some of the names have been changed. Rome is now Aven, but it’s roots are still a constitutional republic after an overthrown monarchy, its ruling class are still patricians, there’s still a Suburra, the city still lies on seven hills, founded by the twins, and its disciplined legions are still the envy and fear of the world. Most of the story takes place in Aven, and you can feel the warm winds of the middle sea casting themselves across the impressive civic edifices. Aven has a stratified class structure, based on heredity, military service and wealth. The families at its heart are rich and politically active, surrounded by layers of retainers and hangers on – all with a view to serving the man in the street, whose power comes from the occasional well-timed riot. Most of our view on this society comes from the privileged – the en-toga’d candidates for political office, and their circles, but we do get to see something of the grittier side to existence in this greatest metropolis of the age. Aven thrives. It’s full of boundless energy, of people prepared to have stand-up arguments in public, or get together to form an impromptu fire brigade. They’re a people expressing themselves; and one of the themes running through the text is the price of that expression, personally and on a broader level. For all Aven is alive, its’ also suffered under the heel of a dictator – a man with a penchant for death squads, proscriptions and exiles. Coming out the other side is a society in shock, which doesn’t quite know what it is any longer. But much of it is innately recognisable, at least on the surface, if you’ve seen a costume drama – the familiar masking the strange. The strangeness comes with the magic, with the different schools – light, fire, shadow, fracture and so on. These seem to be present across society, undeniably effective, and their presence regarded as a positive indication of the existence of gods. As an aside, there’s a really nuanced portrayal of religion occurring in the background here, which I hope will be explored later on. But the magix. Oh it throws society into the air – but also, in the way of humanity, doesn’t. The rich retain their talented scions, despite a law preventing their participation in politics; the poor shift them into roles which serve the state, buying a better life with magical firepower. It’s a delightfully disruptive influence, ontained by social institutions which have clearly expanded to accept it. Aven is, in summary, alive. It has a lot of similarities to Rome, yes. Legionaries, absolutely. Senators, Consuls, a burgeoning territory and a penchant for internecine political warfare, absolutely. It has a religion which lives and breathes and feels alive, and has the sort of concrete results which help describe a world-view as well as explain its strangeness. Other things too, are similar. Women live lives circumscribed by custom and practice, marrying and raising children, or otherwise cloaking their ambitions inside those of their fathers and husbands. That isn’t to say they lack agency; many of the female characters are searing indictments of the system, even as they accept it – strong, independent women working within the confines of their social mores, and sometimes breaking free of those bonds, whilst the men around them watch with various degrees of wonder, and various degrees of acceptance. Yes, this is Rome with magic. It’s clearly well researched, and gives us a nuanced view of the post-Republic antique world, backed by the sort of close personality study which makes the world feel alive. I’d like to throw out a mention to the non-Aven locales as well – particularly the tribal societies in not-Hispania. There is something darker and bloodier at work here, a society which takes the rush of carmine and uses it to work the will of its people. But these aren’t faceless barbarians – they’re thoughtful, awkward people. They struggle against a cultural imperialism which Aven defines, and if were sympathetic to the Aven cast, their counterparts are a plucky underdog whom it is possible to sympathise with. If Aven is the light of civilisation as we recognise it, then their opposition aren’t savage monsters, but something far more nuanced – a people struggling to protect their hime against encroaching cultural hegemony, often issued at the point of a sword. That friction between two groups helps direct the conflict. If the inhabitants of Aven are always busy stabbing each other in the back, so too must we consider those in their periphery – for whom even our most sympathetic characters are the enemy. This is a conflict of cultures, backed with iron and magic. Speaking of characters. Our narrative focus is Latona, of the aristocratic Vitelliae family. Latona is intelligent and principled. The intelligence has served her well while dealing with a Dictator in the republic, the principles…perhaps less so. She carries a great deal of magical potential in fire and spirit – allowing the influencing of emotions and, helpfully, the ability to set things on fire. But these are powers she tamped down under the Dictator’s eye, and she lives now with the ingrained habits of fear, magic churning more and more noisily in the background of her soul. Latona is, it has to be said, frightfully nice; but she’s allowed herself to be defined by her anxieties and resulting emotional fragility, wrapped up in the fear of action such that she doesn’t take any at all. Latona is an incisive portrayal of a clever, competent woman wrapped in a spiral of shame and disbelief in her on skills. That her marriage is seemingly disintegrating, a convenient fig-leaf for political protection which is now slowly falling apart, is another source of emotional tension. That she bears up under her own fears, and pushes forward despite them, made her a character to cheer for over the course of the story. The other half of the central core is Sempronius. Another aristocrat, he’s an ambitious man with an eye to the future. Specifically, a future where Aven is secure, well defended, and expansive. Sempronius is political, in a landscape thrown open by the death of the Dictator, which has disrupted the status quo. Like Latona, he’s razor sharp and competent; he is, however, less constrained by his own doubts. Articulate and charming, he genuinely seems to be looking for a way to make things better for the majority of Aven’s citizens; unsurprisingly, in a world where so much power is concentrated into the hands of wealthy families, and where social mobility is somewhat déclassé, this seems to make him more than a few enemies. This is a nuanced portrait of a leader who would like to think he’s a good man, doing what he thinks will be the right thing. That it also serves his ambition is perhaps incidental. They’re supported by a sprawling cast of political allies, family friends, slaves and family members. Latona’s family are particularly worth a mention. 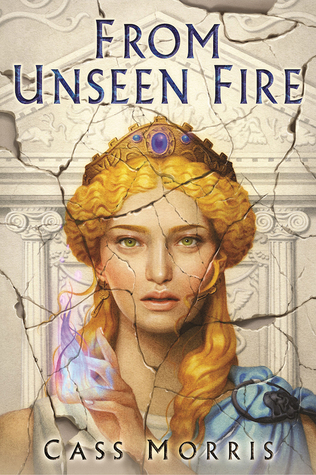 One widowed, one troubled by magic of herown, they act as a lynchpin of Latona’s emotional stability. It’s great to see a warm portrayal of a close-knit family here – the emotional bonds are clear, the affection obvious, even when you’re watching them squabble. On the other side,of course, are enemies. There’s those who’d rather no tsee their world turned into an Aven hegemony, and others who’d rather that the city on the hill returned to first principles, and sat in splendid isolation. I’ll leave the details of who serves what agenda for the reader to discover, but there are no cackling villains here. Those who act against our heroes do so not out of Iago-like malevolence, but because the think it’s the right thing to do. Admittedly, some questionable choices are made (though these do give us an eye on the darker side of magic, all blood and thunder, and on the non-Aven traditions). But those who make them genuinely believe in their causes. They may be doing some horrible things, but they have moral and ethical logic behind them, which lets them live and breathe as antagonists – multi-faceted people who may happen to be terrible, rather than one-note baddies. The plot? Well, no spoilers. But the book packs a lot into its pages. There’s the burgeoning friendship between Latona and Sempronius. Latona’s struggles with her own doubts. The Vitelliae’s efforts to live together and find goals worth pursuing. Sempronius’ struggle for political security – including elections, scheming, and a few bloody moments of knives in the dark. Then there are struggles outside Aven, as a province slowly rises in rebellion; this leads to some marvellous military manoeuvring, and battles which carry all the grandeur and horror of war about them. This is the story of Aven, city which may yet rule the world, working out what kind of city it wants to be. It’s also the story of the people within it, shaping the destiny of the city with their words, their blades, their magic and their hearts. I went into this one not knowing what to expect, and I finished the book hungry for more; and on that basis, I’d say it’s well worth reading.